SMMT new car registration figures for September have been released and show a stable new car market, with sales down less than 1% on 2010 – which is in line with SMMT forecasts. 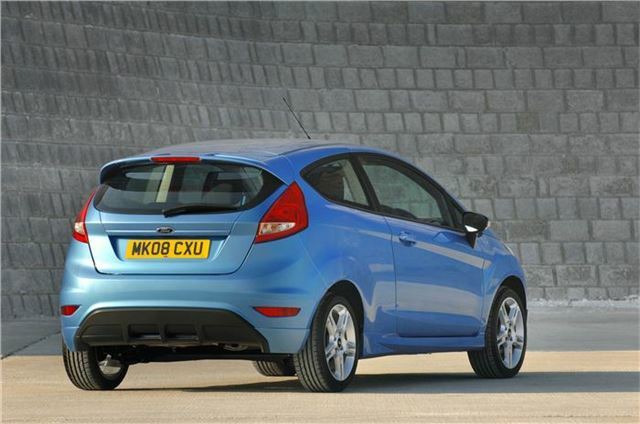 The Ford Fiesta remained the most popular car in September, followed by its bigger sibling the Focus and the Vauxhall Corsa in third. Average CO2 emissions were down 4% on 2010 to an average of 138.5g/km, showing buyers are looking for more efficient vehicles with cheaper VED. This is largely owed to diesel cars which are increasingly popular, taking 49.9% of the market. Alternative fuel vehicles such as electric cars and hybrids made up 1.3% of the cars sold in September. Fleet and business sales were important in September, between them making up more than half of all new cars registered – 47.1% fleet and 6.2% business. It’s not all good news for the motor industry, though. With continuing economic instability the SMMT has revised down 2012 forecasts. "We expected 2011 to be a challenging year and we are on track for a full year total of around 1.92 million new car registrations, 5% below 2010. SMMT has revised down its 2012 registrations forecast to 1.96 million units; a reflection of the continued weakness in UK domestic demand and the uncertainty across European economies.” said Paul Everitt, SMMT Chief Executive. He went to explain that “It is important government acts to sustain an investment-led recovery and implements measures to encourage more private sector investment in R&D, skills, new plants and machinery." The detailed SMMT figures and tables can be found below.